Hi everyone! 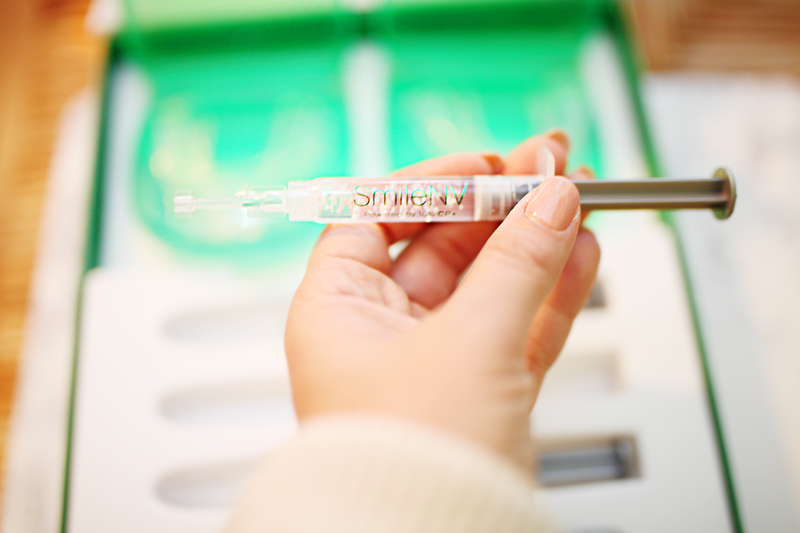 So excited to be teaming up with SmileNV today to talk about my teeth whitening routine! One of the most commonly asked questions I get is about my smile believe it or not! As a teenager I had braces, and pretty messed up teeth so it’s very flattering hearing that I have a nice smile. It definitely has not been an easy road for me, but since all of my teeth are currently in great condition, I like to also keep them looking white and clean. Your teeth and smile are what attract people to you every day, so in my opinion it’s very important to keep your teeth healthy. I keep my teeth looking very white at all times, and usually people want to know what I use and how I do it. It’s a pretty simple process to whiten your teeth, especially when you use a good product that is easy to figure out. 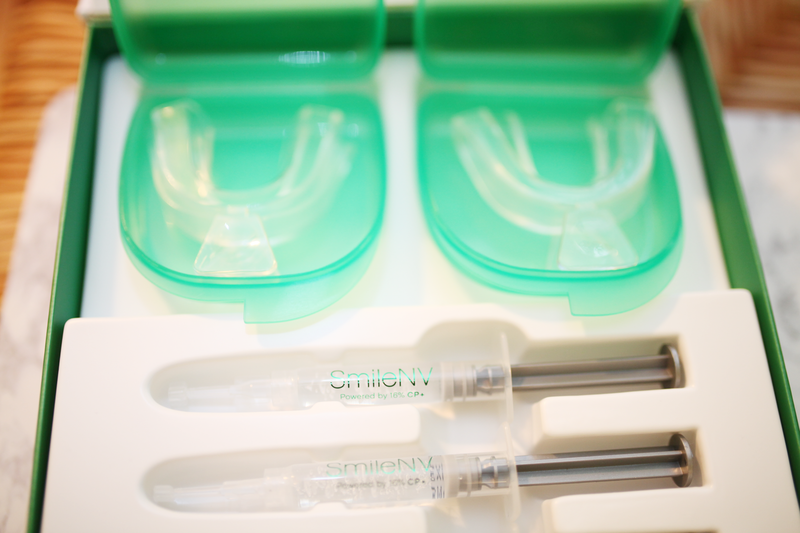 SmileNV allows you to create a mold that fits your mouth perfectly. You can do this easily at home, and then it makes the rest of the process a lot easier. I noticed such a difference after one time of using this. I’ve used products in the past that were messy, used lights to work, or burned my gums, and those usually didn’t give me the outcomes I was looking for. One of my favorite things about SmileNV is that the delivery is free- and it’s very simple to use. As a new mom I am looking for a stress free routine I can do at night when the baby is sleeping. It’s so important to do little things that make you feel better, and more importantly confident. For me, it makes a huge difference in my mood when I take some time to do something for myself. This is one of those things that I just love setting aside time for. Always brush your teeth at least twice a day!